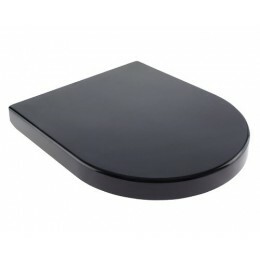 Turn any toilet into an executive loo with this Infinity Black D Shape Soft Close Toilet Seat with Top Fix Hinges. The look is inspired by minimalistic contemporary design, making it as close to modern art as your basic toilet seat can be. Its low profile lid has an understated look that is enhanced by its solid black color. The hue of the toilet seat allows it to match a variety of color palettes in the bathroom. Whether the room is pastel, earth toned, black and white or full of primaries, you can be certain that the toilet seat will suit it perfectly. 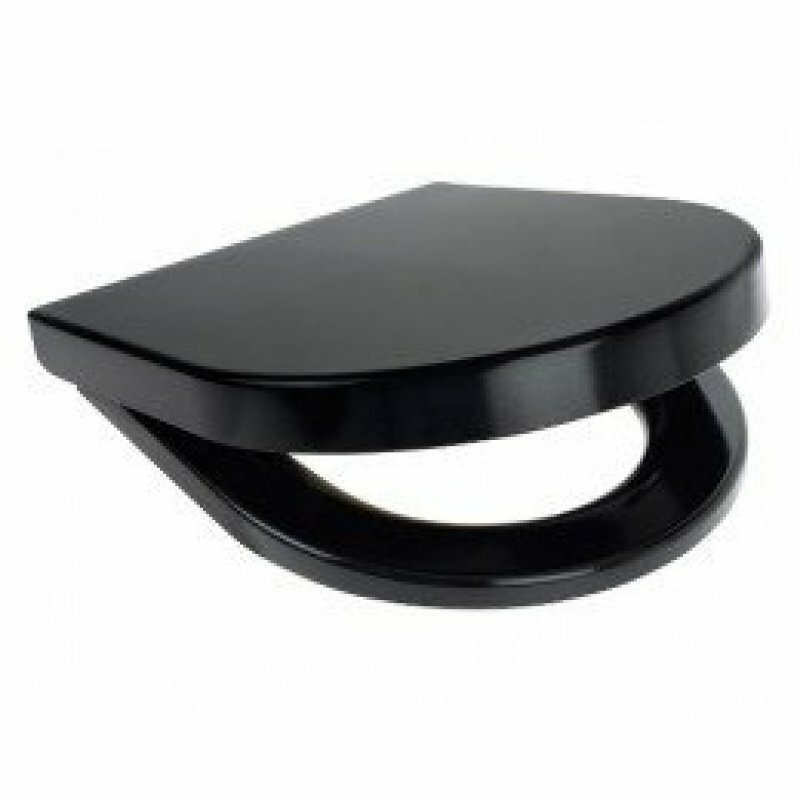 The Infinity Black D Shape Soft Close Toilet Seat with Top Fix Hinges has a simplified D shape that enhances it simple elegance. The toilet seat is made from a strong duroplastic that contributes to its sleek style. As a perfect finishing touch, the manufacturer has given the plastic a glossy finish. The seat is sized for most standard toilets.